You have probably heard of the latest craze in wedding invitations. Gone are the days when each and every bride in the country rushes to have her invitation printed with a laser-printer ink etched on glossy paper. We now welcome the era of handwritten wedding invitations. There are actually two options up for brides and grooms-to-be. One, if you believe that your handwriting is passably artistic, you can always write the wedding invitations yourself. This exceptionally personalized means is definitely more affective if you wish to invoke a more intimate, cozy feel for your special day. Moreover, writing your own wedding invitations slashes down a fraction of your expenses. 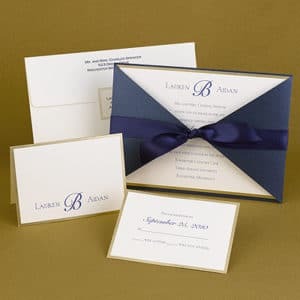 Just buy your own scented stationery, a box of lovely, well-designed envelopes and voila, a lovely invitation without the hefty price. You can even add in a few embellishments and ornate designs here and there to complete the personalized feel to a tee. This savings could really work well for you. You can then splurge on the wedding dress or your dreams, or on the bridesmaids dresses. If you still wish to evoke that same intimate atmosphere, yet your handwriting is needs to be deciphered by a specialist, we suggest that you go get yourself a professional calligrapher. The art of calligraphy’s roots could be traced back to cave paintings. Over the years, it grew to become a famous, treasured art despite the advance of other printing materials such as typewriters, and of course, computers. Despite the myriad of font styles, colour and sizes that a computer can produce, calligraphy is still sought-after. As long as there is a human being who keeps it alive, calligraphy will continue to be an art. This art is brought to a whole new light when used in wedding invitations. 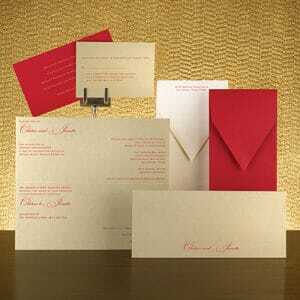 Calligraphy set in glossy, embossed or silky paper gives the guests an impression of comfort and intimacy. Nothing says “you are special” quite like handwritten invitations. It basically shows that much thought and effort was put into each and every line. 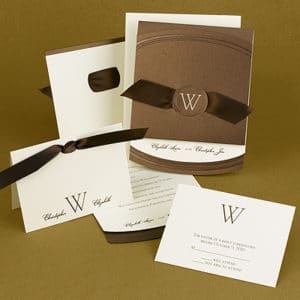 A wedding invitation, much like a wedding dress, is the finest representation of the bride’s personality. A gracious invitation reflects a gracious host. 1. Shape. You can always create unique shapes for your wedding invitations. You can either have it shaped like your wedding dress, your wedding cake or have it shaped like a bell. You can always play around with shapes, it is probably the safest element to experiment with. 2. Size. If you really want to make an impression, lay it on the invitation size. The bigger, the crazier. However, your guests would probably be eternally grateful if you will not send them a billboard-size invitation. 3. Design. Make sure that your wedding invitation design matches your theme. Do not depict a beach theme on your wedding invitation when you are actually going to have a church wedding. 4. Colour. Since it is a wedding, go for neutral colors, earth tones or pastels. Avoid black at all cost. Looking for a wedding dress? 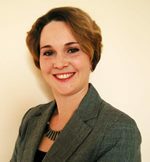 Visit BestForBride.com. You can also find bridesmaid dresses and wedding invitations.